Lately everyone has been talking about what has become known as "The Knockout Game". To update those who have somehow missed this, and that seems rather impossible these days, the Knockout Game involves some low life idiot walking up to a total stranger on the street, and out of nowhere, hitting him or her so hard that the person falls to the ground and is "Knocked out". "The knock out game is played when small to medium-sized groups of black youth seek out lone whites to attack and beat. They attempt to knock them out in the first punch. If this happens, the game is over. However, if the victim survives the first punch, the group sets upon them and pummels them profusely. Knockouts are rare in professional sports such as boxing, kickboxing, or MMA (Mixed Martial Arts). They are also rare in the streets. The reason they are rare is because they are hard to pull off if a person is the least bit ready. If the defender is able to put up a defense or even use some body posture or movement to avoid the blow it is pretty difficult to knock someone out with a first punch, to send them straight down to the floor. The reason it works on the street is that the victim is totally unprepared, his/her body is totally relaxed; thus the body has no defense whatsoever. The sudden blow against an unsuspecting body is brutally effective. So the question has been addressed to me in person at my Krav Maga classes, by women in my LadiesKrav class, and from students via e mail. I have an answer, but it is not an easy way. It involves a change in the way we think. I have viewed all the video clips of these knockout punches and what I see are people totally absorbed in their own life. They are walking around in a crowded busy city and seem totally focused on whatever they are doing. One guy was walking with great intent towards his destination. He had tunnel vision if any vision at all. What was on his mind? I imagine...I am in a rush, I hope I make the train on time. How will I begin my presentation today? I wonder what my boss wanted to talk to me about? and ...Boom!, he is knocked out, he never saw it coming. What it takes, in a word, is, Awareness, but this is tough to develop, it is not as easy as it sounds. It requires a change of lifestyle, it requires a military mindset, or ...to think like an average Israeli. How does one develop this? Well, I devoted a good part of my book to this topic and we work to develop this on our Tour and Train Israel Experience Program. When I was a child there was a poster in every classroom, it had many objects on it; small toys, cigarette boxes, match boxes, little toy cars, even buttons, and it said, "Beware, Suspicious objects, do not pick up. Any one of these objects could be a bomb. We were taught from the earliest age that we have many enemies, that Jews and Israelis are always targets, that we must watch our every step. It became part of our nature, part of my personal behavior, this is part of a "Nation of Warriors" (the title of my book, see below). On Tour and Train we stand on top of Masada, where 960 Jews held out against the Roman army. We trace the steps of the warriors who liberated Jerusalem, we solemnly walk through Yad Va Shem Holocaust Memorial and absorb the tragedy of our people on an emotional and intellectual level, we meet fighters and warriors who share their personal stories with us and we become enlightened. It is not just a matter of "being aware", it is a change in the way we think. Awareness of our surroundings, of the people around us, of the movements, becomes part of our being. We begin to notice little things, little things which could be important. I believe Steve, one of our instructors, put it best when he said. "At the airport there might be at a given time 500 passengers preparing for their flights. I see five hundred problems. I see five hundred people who are thinking 'I hope my flight will be on time, I hope my luggage is not overweight', but I am looking for potential terrorists. I am looking for the nervous guy, for the guy with the odd package, for anything out of the ordinary. I want you guys to be part of the solution, not part of the problem." We can teach you very effective blocks and evasive movements against the cowardly "Knockout punch". We can teach you to fight back and get away. But what most martial arts schools fail to grasp is that ALL techniques are totally useless if you cannot access them in real time. Practicing a punch 10,000 times but being unable to use it because you are unaware is the same as having a gun in your holster but never being able to pull it out in time. (usually the case). What we aim to teach you is how to behave, how to think differently, how to know what to look out for and then, how to use some very simple concepts to defend yourself in all situations. "Knockout game"? We can beat these punks at their own game. Learn to think and act like an Israeli, do not be a victim. Learn from our experience, do not be a victim! Be a warrior. 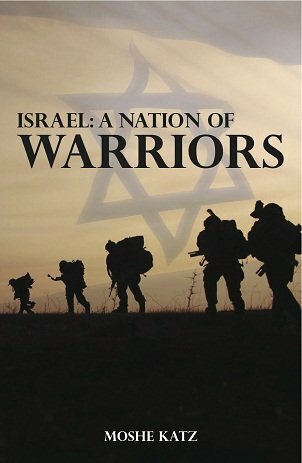 Develop a warrior mindset, the Israeli and Biblical way. Come to Israel and immerse yourself in Krav Maga and Israeli culture. Understand Israel, our history and way of life. Understand Krav Maga and counter Terrorism. We begin...at the beginning, step by step. Perfect for both beginners and experienced martial arts and Krav Maga instructors from all styles. Register Krav Maga Tour and Train. Reserve your spot today. Discounts for IKI members and repeat participants.